Thank you to everyone who donated money towards the BrisDoc Sleep out campaign. We managed to raise a fantastic total of £6096.76 with the help of a very generous £3,000 donation from the BrisDoc Community Fund. Below is a short account of how the night went by Andy Morrison (BrisDoc Marketing, Communications & IT). So it’s 8pm on Friday 24th Feb, and I find myself nervously pacing around the house trying to think of what I should pack for a night sleeping out rough in the centre of Bristol. I start to question myself, have I got enough warm clothes? Have I got too much? How cold will it be? will it rain? The BBC weather app can’t seem to make its mind up so I opt to wear as many layers as possible. It suddenly dawns on me how lucky I am to have the time and facilities to prepare so well. 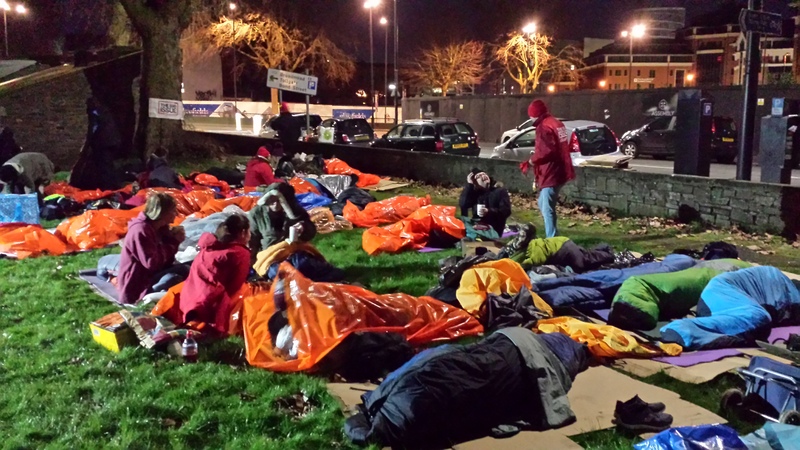 There are around 70+ rough sleepers currently in Bristol who don’t have the luxury of having an expensive sleeping bag to hand, or clean and dry layers to put on. 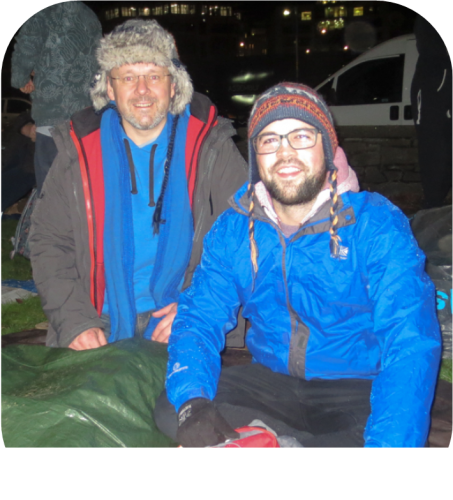 I arrived at the ‘sleep out’ shortly before 10pm where I met Nigel Gazzard (BrisDoc’s Managing Director) and Dr Clare Fleming (GP at BrisDoc’s Homeless Health Service). A crowd of about 100 people were beginning to gather in the grounds of Pip ‘n’ Jay Church in the city centre. People here are raising funds for a number of charities such as The Big Issue, One25 and the charity we are raising money for, Crisis Centre Ministries (CCM). A few spots of rain start to appear at about 10:30pm which steadily gets worse over the next couple of hours. With no shelter about, we put on some wet weather gear and stash our sleeping bags under a plastic sheet, crossing our fingers hoping that it dries out soon. Many people have brought cardboard boxes with them to use as a ground layer but the rain soaks in and they soon become useless. As the rain starts to seep through to my feet, I suddenly realise that the old pair of running trainers I put on before I left the house aren’t water proof. With no back up option, I’m stuck with cold, wet and numb feet for the rest of the night. In comparison though, I’m sure the vast majority of rough sleepers are probably more ill equipped than I am so I should think myself lucky. Fortunately for us, the temperature on the night was about 5°C, the following night dropped below freezing. I’m not sure how well I would have coped in those conditions. It makes you realise how crucial homeless charities like Crisis Centre Ministries are. 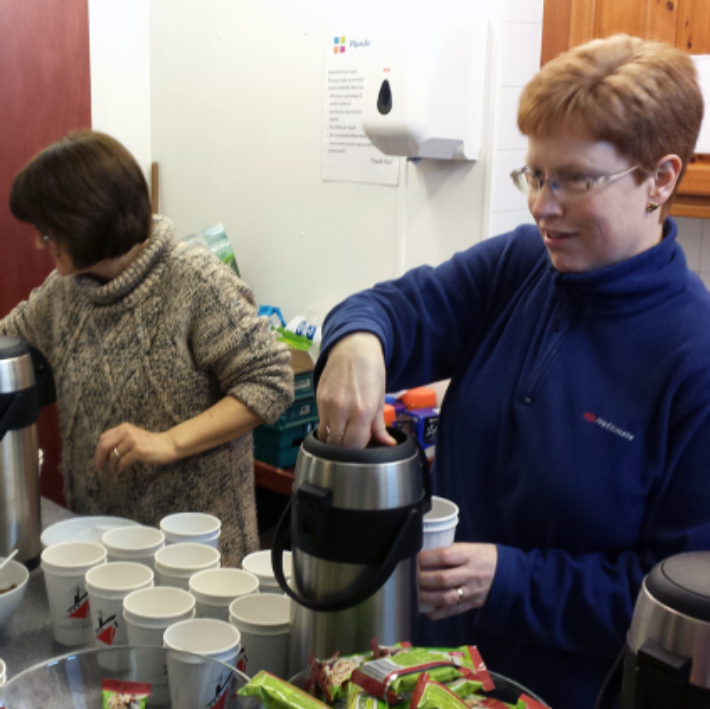 The Wild Goose Drop-in centre which provides free hot meals, shower facilities, clothing and toiletries six days a week for those in ne0ed. The Spring of Hope Women’s Night Shelter which offers emergency temporary accommodation to vulnerable and homeless women. East Bristol Food bank who are part of a nationwide network of food banks, supported by The Trussell Trust, working to combat poverty and hunger across the UK. These are amazing projects that runs solely on donations and volunteers, so your kind donations really will go a long way to help those in need.